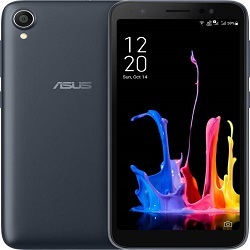 Asus is Offering Some Best & Never Before Rates To Asus Smartphones. Also There is Huge Exchange Offer is Going On to Cut More Price On Your Purchase. Some of The Best Deals Are Asus Zenphone Max Pro M1 & Asus Max M2. Both Phones Are Available For Just Rs.8499 & Rs.8999 Respectively. Also Zenfone 5Z is Now Available For Just Rs.21999. 4. Fill Out Your Shipping Details Like – Name , Mobile , Address etc. 6. Complete The Payment !! There’s never a dull moment with the ZenFone Lite L1. Underneath its sleek and sophisticated exterior lies hidden a powerful beast, ready to charge at a moment’s notice. From browsing the Internet and shopping online to playing games and texting your friends, now everything is going to be more enjoyable, thanks to this phone’s powerful octa-core processor, Full View display and the impressive battery.